This beautiful establishment takes its name from the old cast iron milestone that stands beside the hotel. Notable residents of the apartments include a man who believed himself to be the grandson of William Shakespeare, a mistress of King James II, and an aristocratic governess to the daughters of George II. The original dwelling was known as Kensington House and it had undergone drastic changes and evolution for over 300 years. In 1689, it was occupied by Foot Onslow, a Commissioner of Excise under William III. Over the centuries it had been home to several prominent people: George Davenport, an officer of the Royal Bodyguard and self-proclaimed grandson of Shakespeare; Lady Susan Belasye, James II’s mistress; and Count Peter Grigorevich Chernyshev, the Russian Ambassador to London. Kensington House then became many things, including: an academy for young gentlemen, a Jesuit school, and a private insane asylum. In 1922, the House went into hotel use. It survived a mysterious fire in 1986 and became a part of the Red Carnation Hotel collection in 1998. Around September 1999, the Milestone had been fully restored into its original 5-star hotel glory with 45 bedrooms, 12 suites and 6 two bedroom apartments. 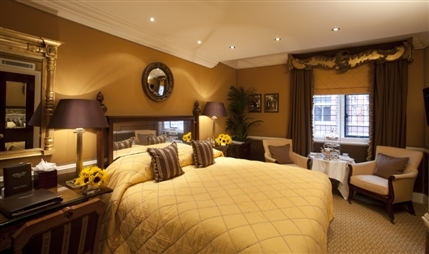 The Milestone Hotel is in the heart of Kensington Gardens, with many of the rooms overlooking the majestic, late Victorian mansions. 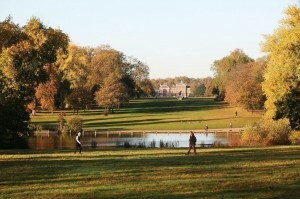 Kensington Court Gardens was also the residency of American poet T. S. Elliot. Close by are the Royal Albert Hall and Imperial College London. This 5-star property offers access to a 24-hour business center, a library, and meeting rooms. Breakfast and onsite car parking are also available for a surcharge. The lobby offers complimentary newspapers. Additionally, free Wi-Fi runs through the hotel. Babysitting and childcare are on hand, though a surcharge is required. 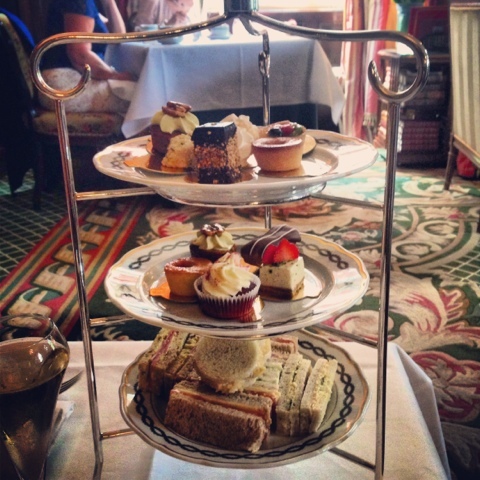 Guests can order lunch and dinner at the Chenestons restaurant, before unwinding with a drink at the bar/lounge. Recreational amenities at the hotel include a sauna, indoor pool, and a fitness center. The full-service spa includes services such as facial treatments, manicures and pedicures, body scrubs, detoxification wraps, and many more. The Milestone Hotel’s rooms can be connecting or adjoining. The typical essentials are present: DVD player, phone, minibar, daily housekeeping, designer toiletries, bathrobes, hair dryer, slippers, iron/ironing board, satellite TV service, flat-panel TV and free Wi-Fi. Climate control and 24-hour room service is within reach. Complimentary items include newspapers and bottled water. Cribs and infant beds can be ordered for a surcharge. Situated at a beautiful location. 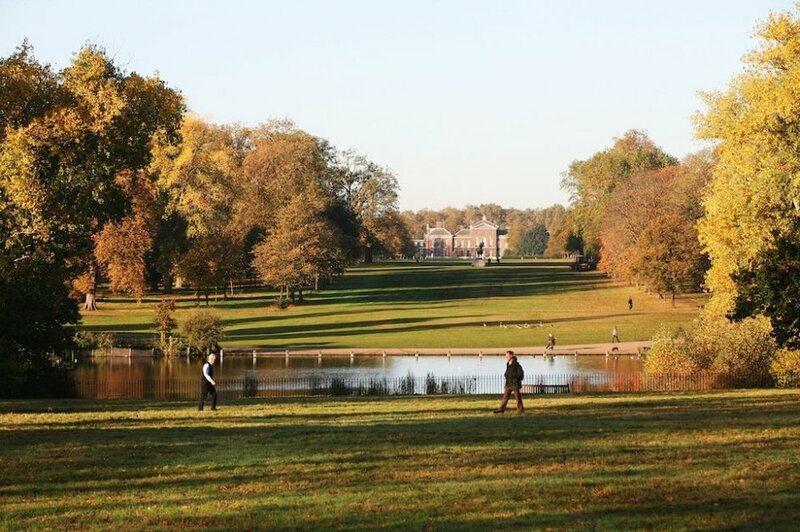 Kensington Gardens is perfect for walks or outdoor meals. Tasteful, varied presentation of room furniture. Rooms are diverse in design. The high quality of the food matches the hotel’s services. Location is not ideal for shopping areas. Be prepared to hand out extra cash for a taxi ride to the West End. Hop on hop off tour was extremely slow and not sufficiently informative. It’s no surprise that London, particularly the West End, are expensive. Example for 1 night: £404.00 (2 adults, 1 child/infant), through Expedia.